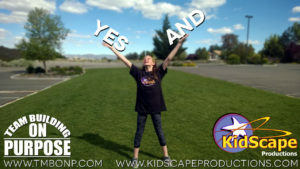 KidScape Productions is celebrating its 19th year using Applied Improvisation (AI) for essential life skills. Whether training is provided during school hours, after school, or during one of our camps and assemblies, the benefits are significant and lifelong. Applied Improvisation, when done correctly, offers participants a low stake environment to hone in on essential life and communication skills. AI uses the methodology of improvisation and is infused into business, school, relationships, and everyday life. While anecdotal data has demonstrated the benefits of AI for years, a recent survey conducted in a Northern Nevada School has further reinforced these benefits. This assessment was based on a total of eight (8) three-hour classes with twenty 7th to 12th grade Gifted and Talented (GT) Students in public school meeting one time per week on a Saturday. The objective was to discover the benefits of using Applied Improvisational strategies to develop social-emotional skills and their benefits in order to support the following: verbal and non-verbal communication, interviewing and presentational skills, metacognition, executive functioning, memory, and recall. Below shows the before and after results of our most recent assessment on Applied Improvisation for social and emotional learning. The students attending these classes spoke powerfully about their experience as learners and the ease of embedding the applied improvisational skills immediately into their life. Students were also easily able to identify the importance of these skills to ensure college readiness and success as future leaders. 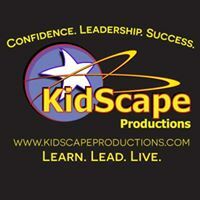 KidScape Productions concludes that pre-teens and teens are easily capable to learn and apply these competencies allowing cognitive, social-emotional (mental health), and physical development that is supportive of all areas of growth. KidScape Productions (KSP): PK-12th grade, international. 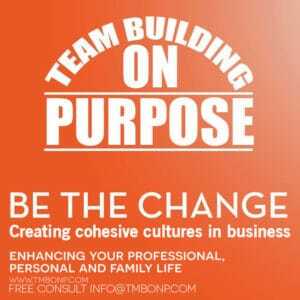 Team Building On Purpose (TMBONP): 18 years and older, international. Specializing in teacher, corporate and mental health training’s. What a great article! As a psychiatric nurse I know how important Evidence Based Practice and child development is. We are the highest tech on the planet yet it is difficult to develop in a world such as ours when we do not have the tools we need to succeed. Applied Improvesation does just that, it provides much needed tools that we all need to explore and learn about ourselves at the same time we are navigating the world around us. Thank you Christiana and Kidscape for all the good work and love you provide! Speaking from experience here, Kidscape and AI have completely changed my life for the better. I could not be where I am if it had not been for the countless Tuesday’s I spent surrounded by my Kidscape family, where I learned skills that I continue to use even today in college! I have witnessed first-hand how Kidscape Productions and AI work with social and emotional learning in adolescents. Students’ communication skills benefit greatly and their social abilities improve when they are taught using AI strategies. At this age level, students have difficulties expressing themselves appropriately with their peers, their teachers, and their parents. In a era where digital communication time far exceeds face-to-face communication methods, it’s important for students to have exposure to social and emotional learning strategies such AI. I have experienced the power and impact of Christiana’s program on our youth both in my classroom and with my son at home. Her evidence-based research and implementation strategies to teach our youth these very important communication skills is invaluable to our digital society. Thank Christiana for all you do! The love and dedication that Christiana shows towards her students along with her passion and leadership training is AMAZING! Christiana is not only helping students to improve in academics but in every day life that will carry on throughout time. Priceless! 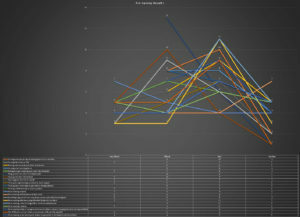 A worthy and impressive document! The gains made in response to “getting through something even when I feel frustrated” is resiliency training at its best. Congratulations! 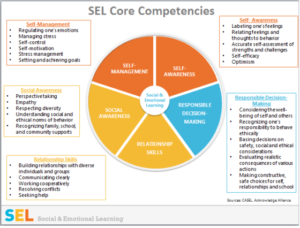 AI teaching result in significant and lasting SEL that cascades into all facets of life. I can honestly say, having worked with Christiana and KidScape Productions for over 10 years at my school, everything that is written about all the skills, strategies and variety in their creativeness in implementing it all is spot on 100% true! Students always come away from each amazing lesson and skill with a new level of confidence that they can apply immediately in all they do at the school, home and virtually anywhere. With technology through social media sites these days, there seems to be no “face – to- face” contact with students any longer. KidScape develops the necessary skills for students to actually interact and develop the necessary confidence they will need as they continue on with their education. In my opinion, If you want these vital skills developed with your children, Kidscape is definitely your answer. And to top it off, the students absolutely love Christiana and her staff.! Great to see research on the impacts and benefits of Applied Improvisation. I especially like the insight that practice in a low-stakes environment helps build skills for greater challenges ahead. This is such important work. I use Applied Improv in all my classes EFL, Drama, Public Speaking, Improv, Teacher Training etc. I help teachers to use applied improv in their specific subjects like science, social studies and even math! It creates a deeper, richer and more connected understanding of the target topic or subject. Above all else it’s fun and creates a playful environment that enhances and facilitates learning and absorbtion of anything from facts to abstract concepts. It’s the power of play at work. 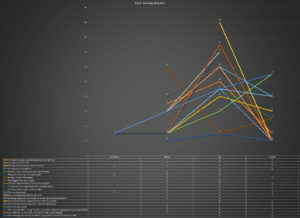 Through AI my students show amazing engagement, progress, and results. Keep up the good work Christiana and I hope we can collaborate soon! 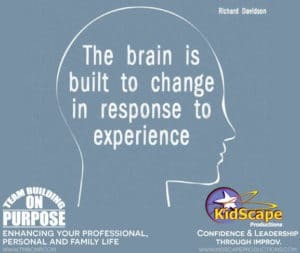 Kidscape is truly a great place where kids and teens can learn to grow as a person. Being apart of kidscape shaped me into a better person, by practicing AI I learned great communication skills that benefit me with acting and theater but also with my everyday life. I’m very grateful to have been involved in Kidscape and to know such wonderful people as Christiana and Charlie. Kidscape is an outstanding organization which provides youth with so many life skills that are essential in order to thrive in an ever increasing competitive world. I have seen youth dramatically increase in self confidence, public speaking, creativity and focus. Christiana, Charlie and the rest of Kidscape Productions is an amazing program. Thank you for your years of dedication to the youth in our valley and beyond.